If you haven’t heard of the fastest-growing sport in America since it began in 1965, then you are missing out on some old fashioned fun. 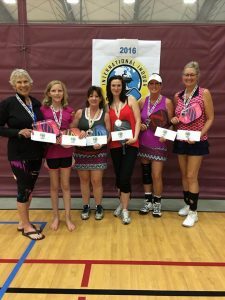 The International Indoor Pickleball Championship 2017 is returning to Centralia for the third year in a row. It will be held May 31 – June 4 at the Northwest Sports Hub, located at 701 Allen Avenue in Centralia. Almost 500 players will come from all over the United States and Canada, with potential players from England, India, Philippines, Mexico and Aruba attending as well. 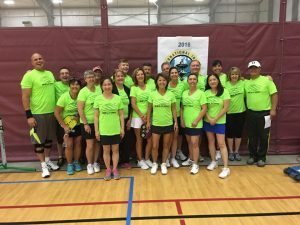 Pickleball – which is best described as a mix between tennis, badminton, racquetball and ping pong – has its origins north of Centralia on Bainbridge Island. 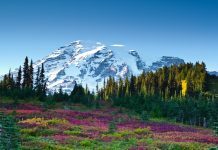 When it had grown big enough to have championships, the event was originally held in SeaTac, but as the sport has grown, the need for a bigger venue became apparent. 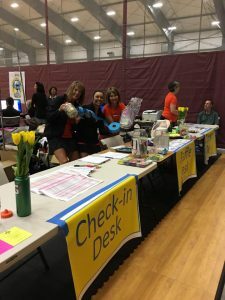 “When the original organizer Mark Friedenberg was ready to hand the reins over, he asked me to take it on,” says Ken Lee, tournament director for the upcoming International Indoor Pickleball Championships. “When I started doing this four years ago, I didn’t like SeaTac because it was farther away from my house and it only had four courts.” So at that point, he moved it to the Tacoma YMCA, which had six courts and the championships were a fundraiser for the YMCA. But, the sport just kept growing. It was apparent that even six courts weren’t enough, so they started searching for another place to play. They tried many venues, including universities, but nothing panned out. That was when “sheer luck happened,” says Ken. They found the Northwest Sport Hub, which was just being built. With its 32 courts (26 competition and 6 practice), it was the perfect place to hold the largest indoor pickleball event. “This is the only place that has this number of courts that are true indoor courts with engineered hardwood or hardwood floors,” Ken says. Ken believes that the reason the sport keeps growing so quickly (Sports & Fitness Industry Association’s 2016 Participant Report says there are 2.5 million people in the United States who play the sport) is because it promotes a fun and relaxing atmosphere. Ken is a former tennis player who stopped playing as he got older and started having issues with pain. Ken believes other athletes with stories similar to him have also picked up the game, which may explain why more older people are playing than any other age group. “Well over 50 percent of the pickleball players are ages 40 to 64,” Ken estimates. The championships include senior opens, men’s and women’s doubles, men’s and women’s singles, mixed and open events, with age groups ranging from juniors to 75 years and over. There will be medals to all first, second and third place winners as well as cash and prizes awarded to winners in each skill and open event. They expect the prize pool to be about $12,000, dependent on the final number of entrants. The games will take place Wednesday through Sunday on a varied schedule. Tuesday is fun play. It’s free to go and watch and learn about this fun sport. If, after watching, you have more questions, feel free to stop by the control booth or just ask any of the players, they are happy to answer questions. 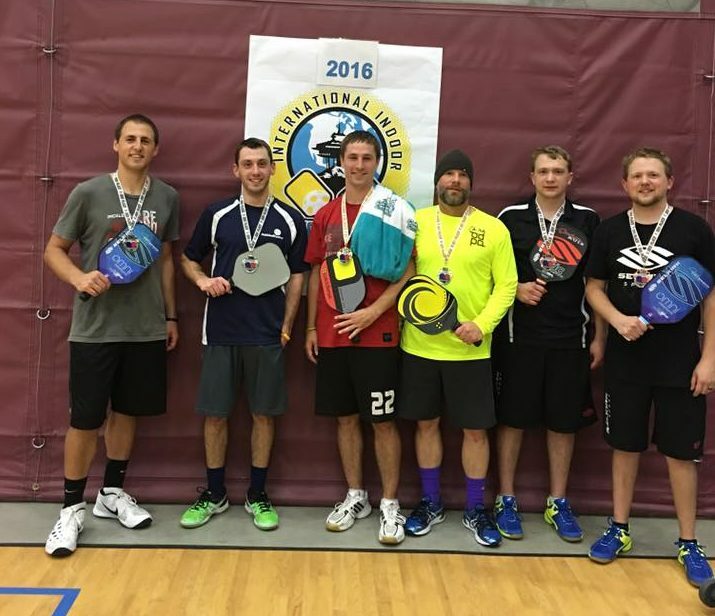 More information about pickleball can be found at the USAPA website. To sign up for the championship, visit pickleballtournaments.com.